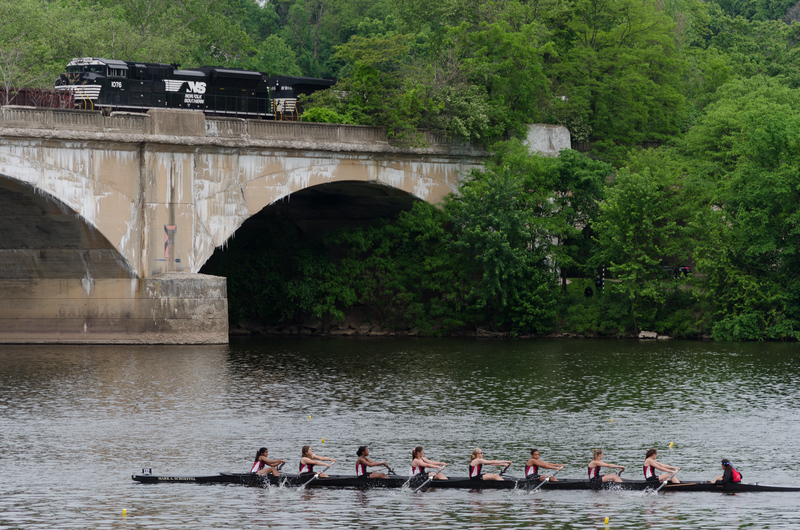 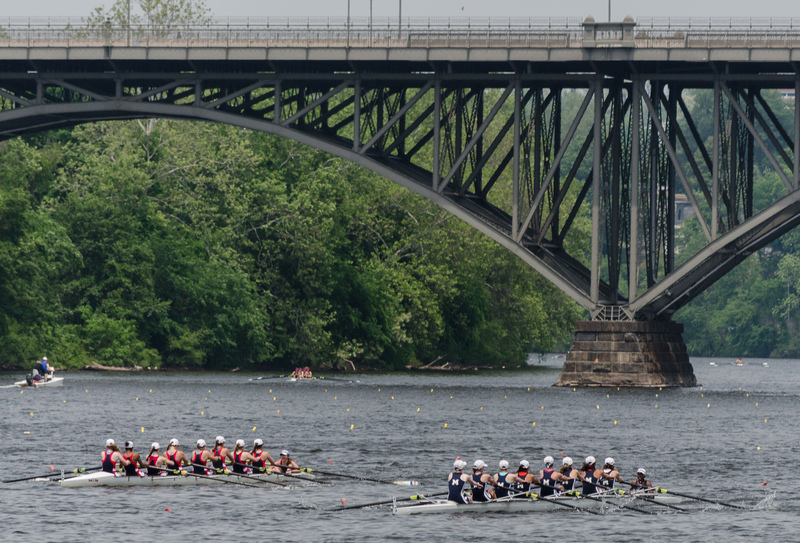 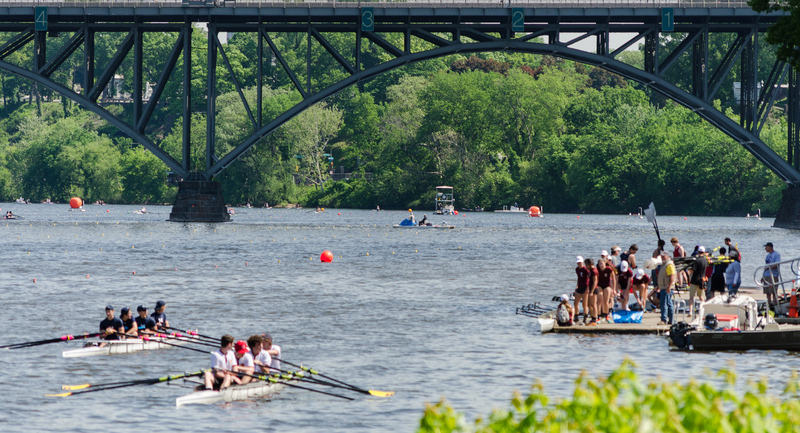 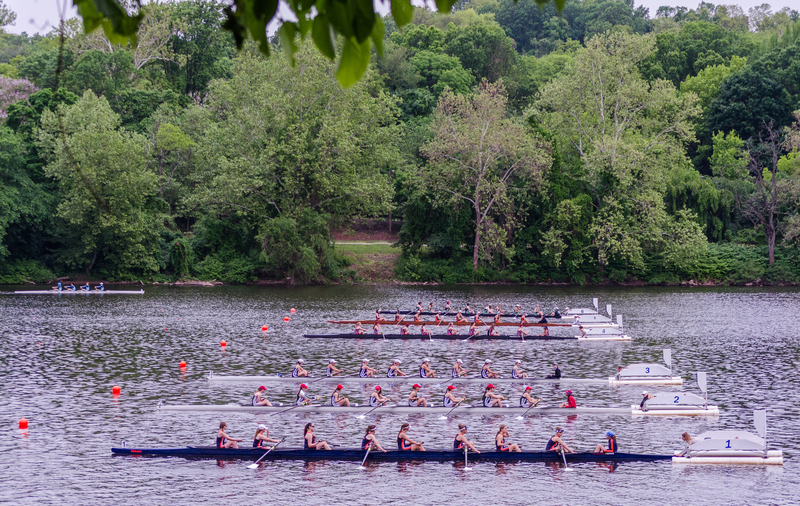 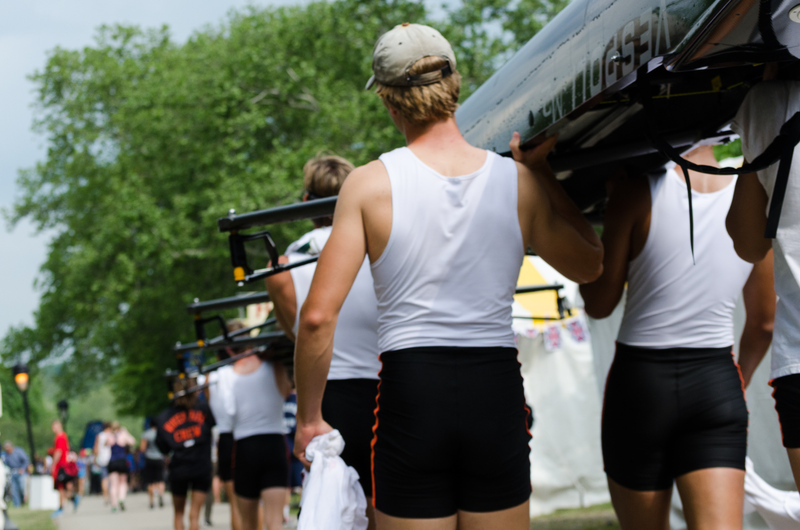 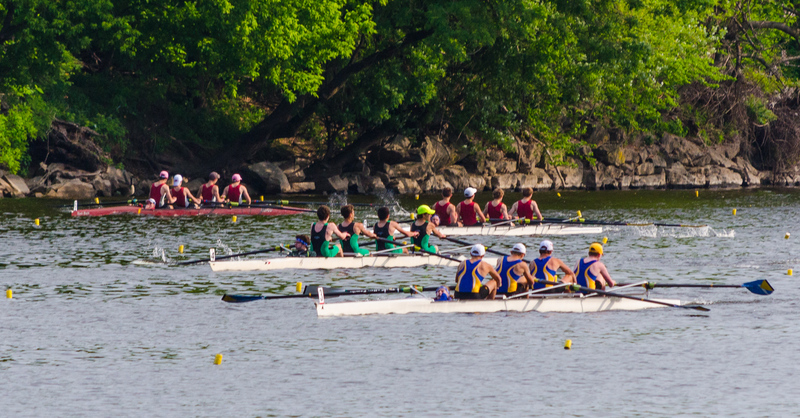 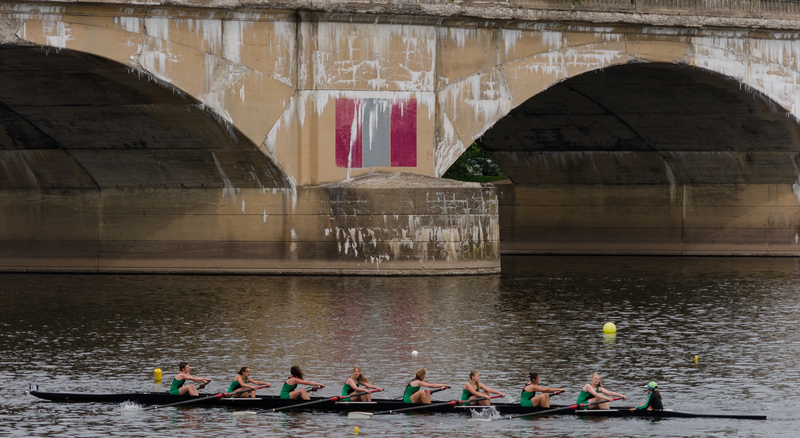 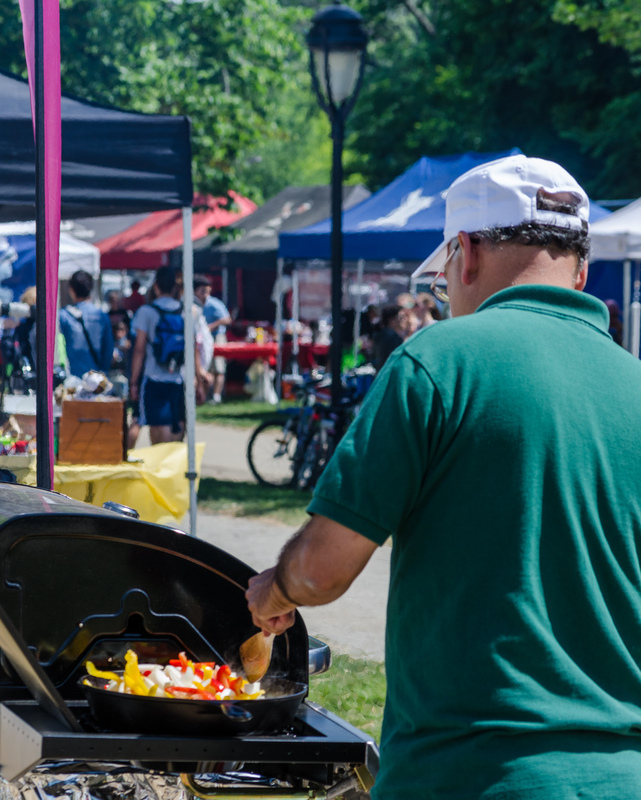 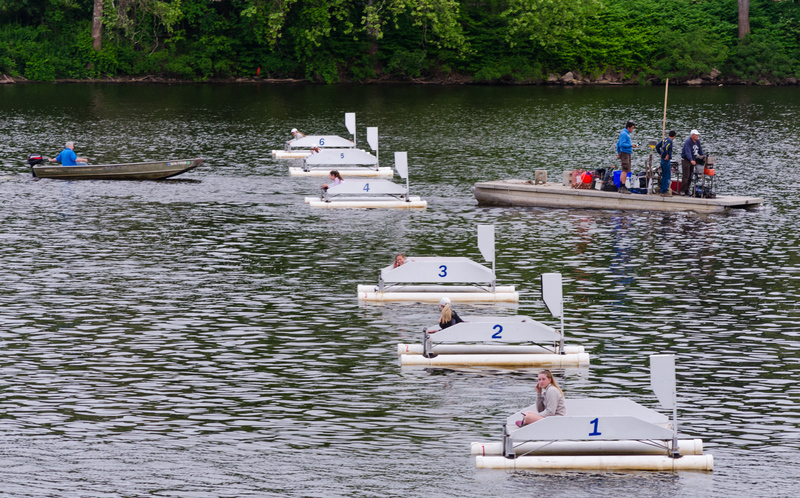 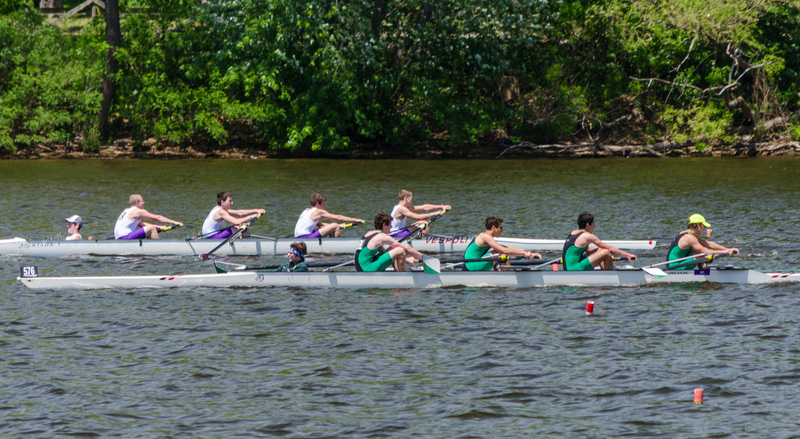 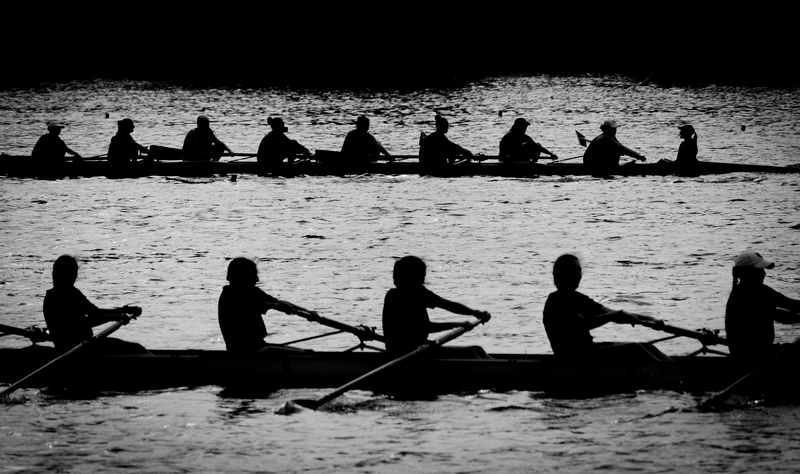 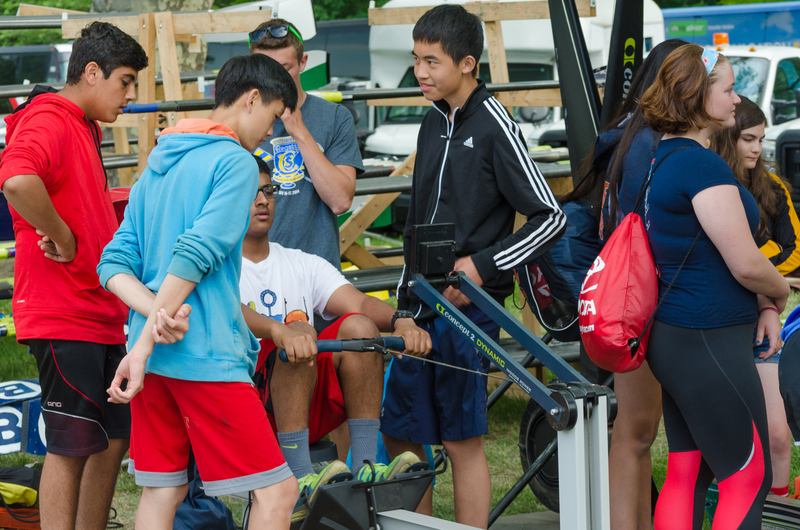 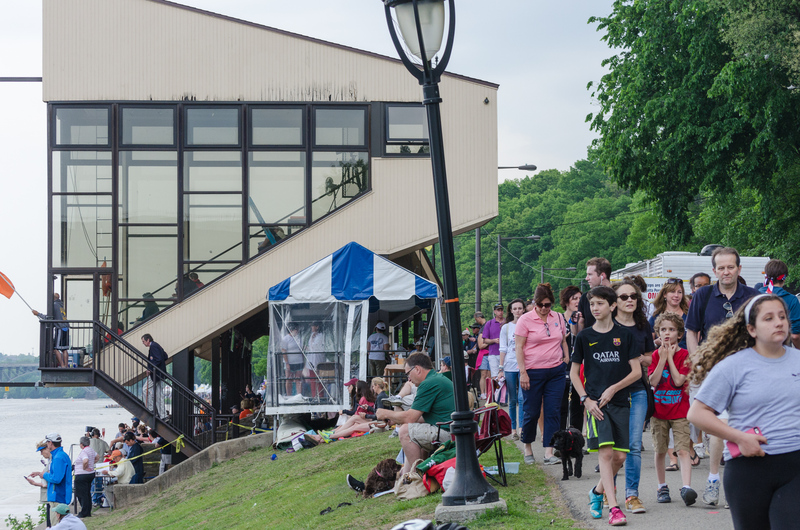 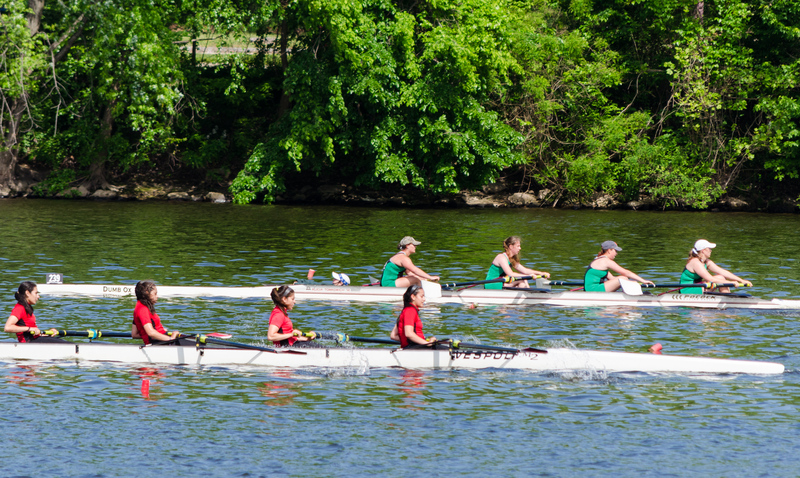 The Stotesbury Cup Regatta, held every year since 1927 on the Schuylkill River in Philadelphia, is the one of the world’s oldest, and said to be the largest high school rowing competition. 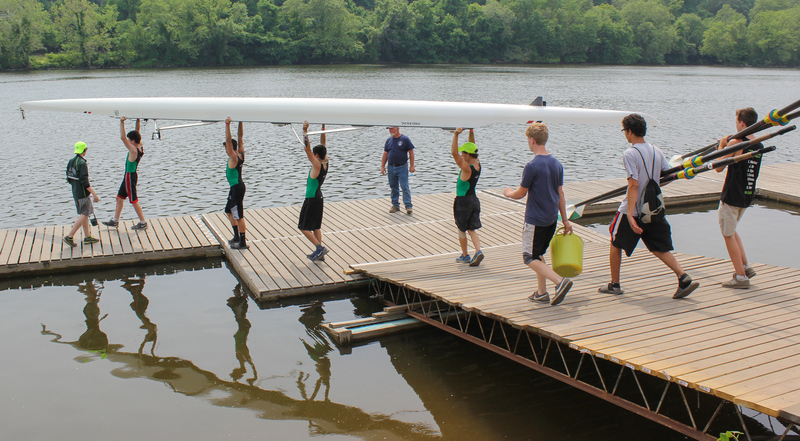 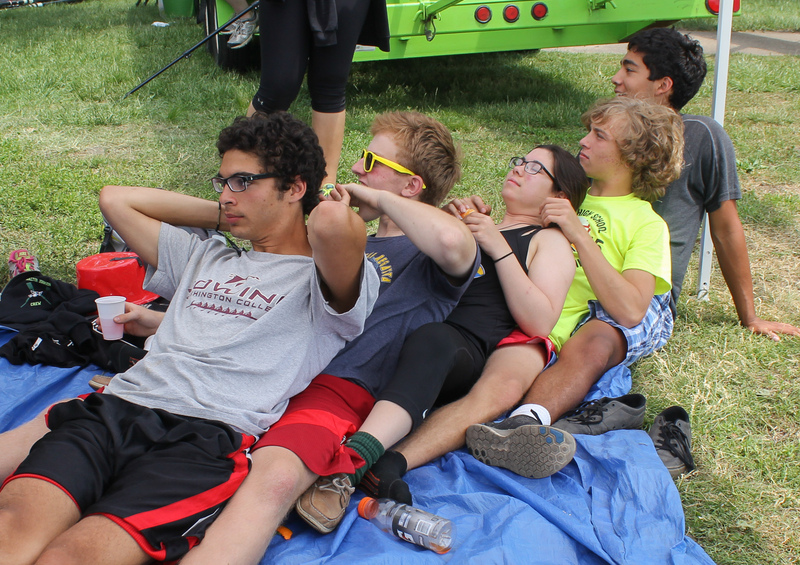 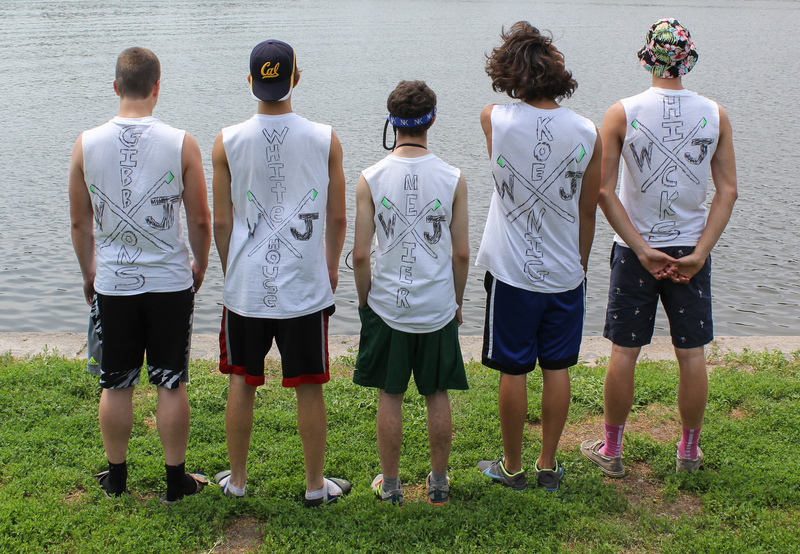 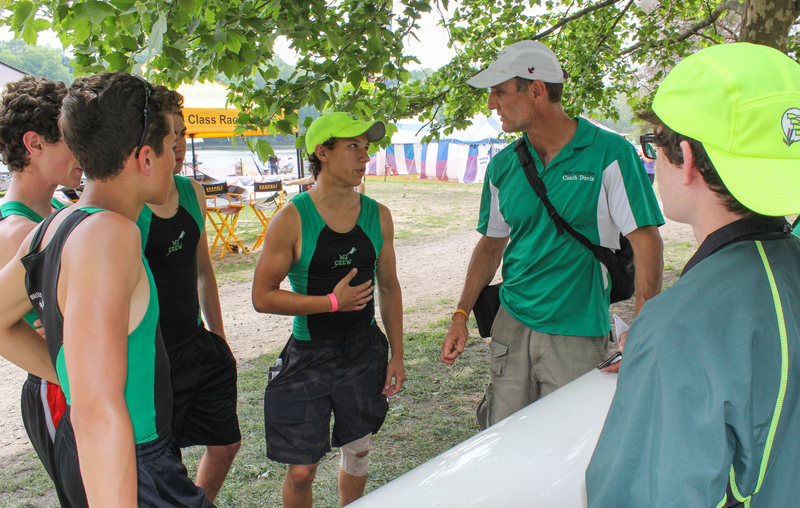 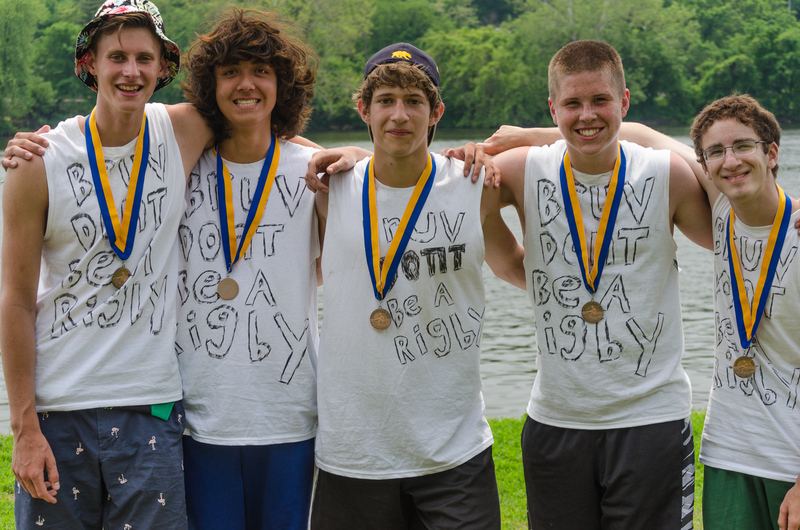 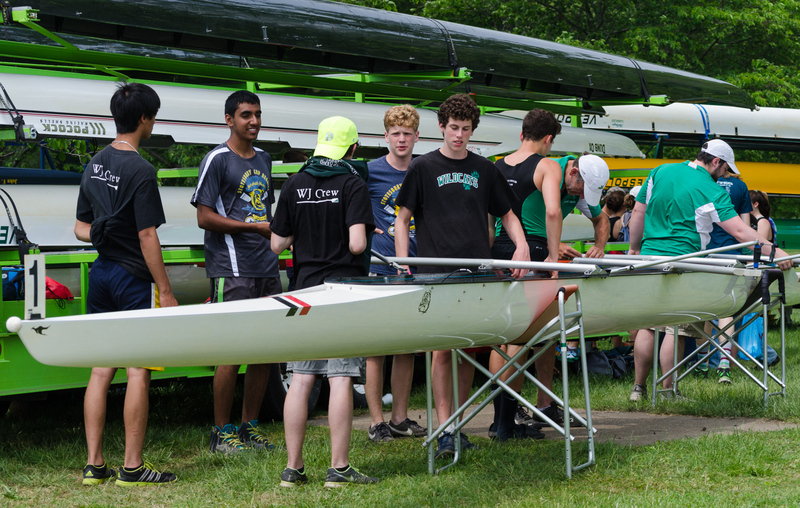 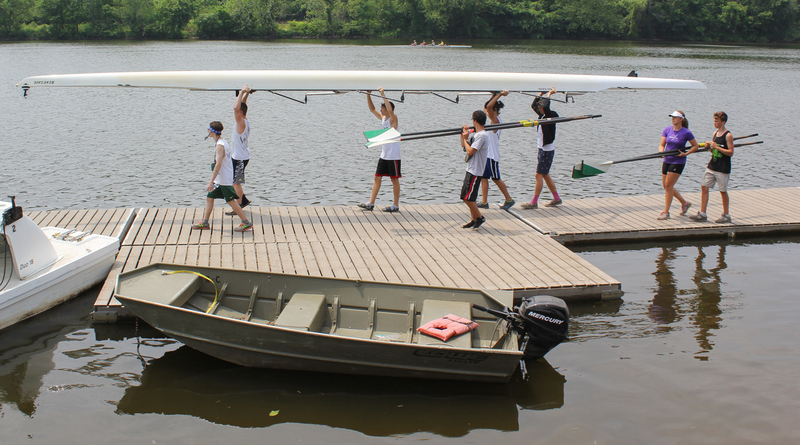 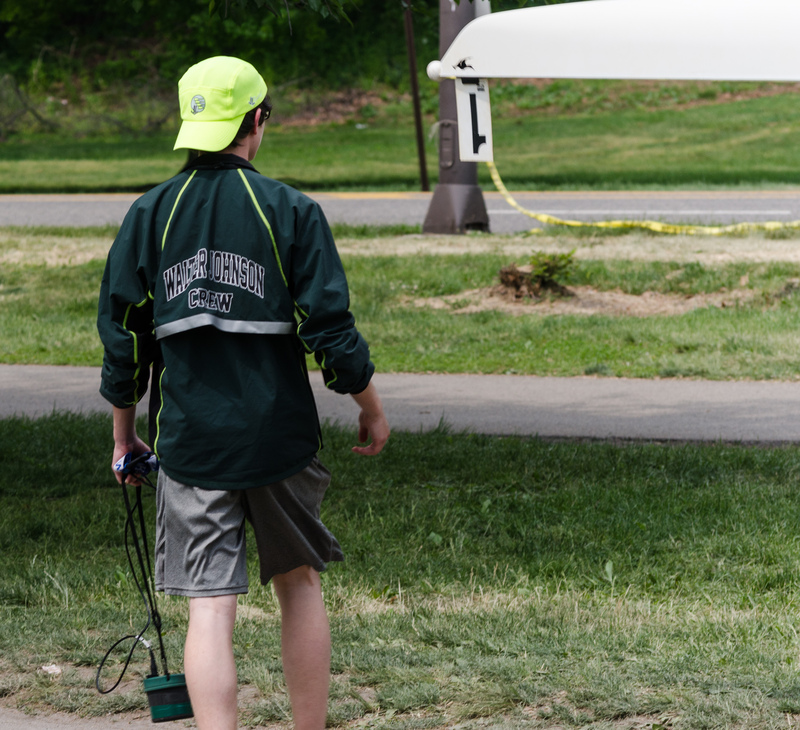 Hard work and dedication throughout the spring season on the part of the WJ Crew boys culminated in an historic performance at Stotesbury in 2015. 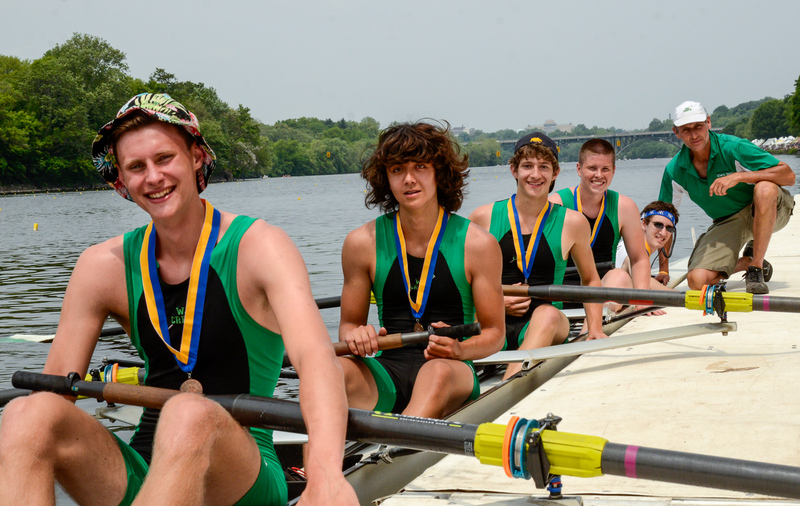 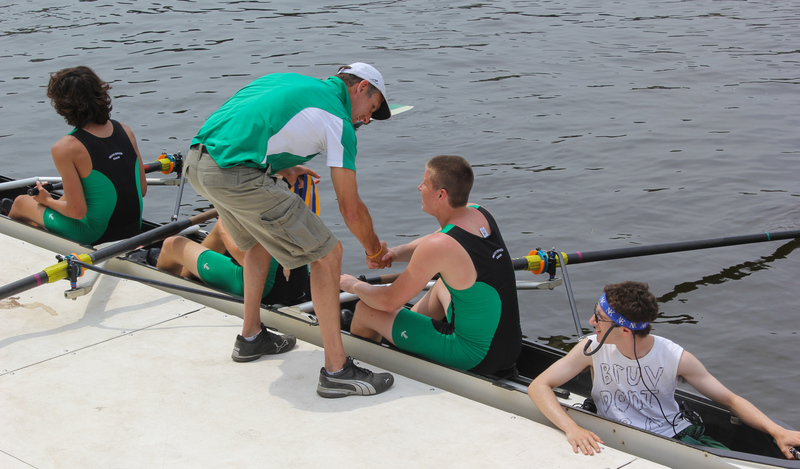 They came home with the bronze medal in the Boys Junior Four and fourth place in the Boys Lightweight Four. 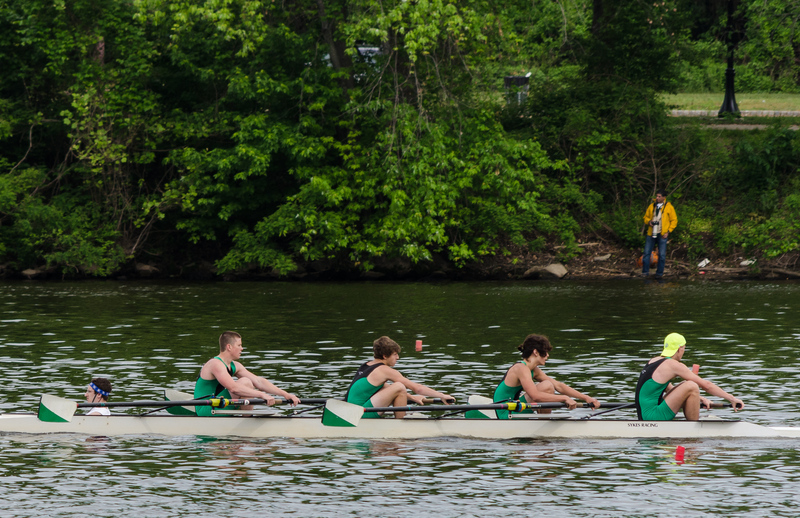 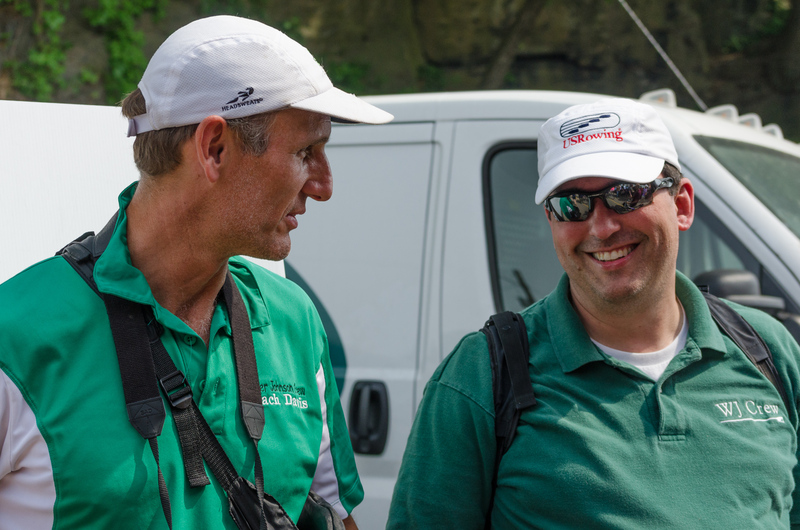 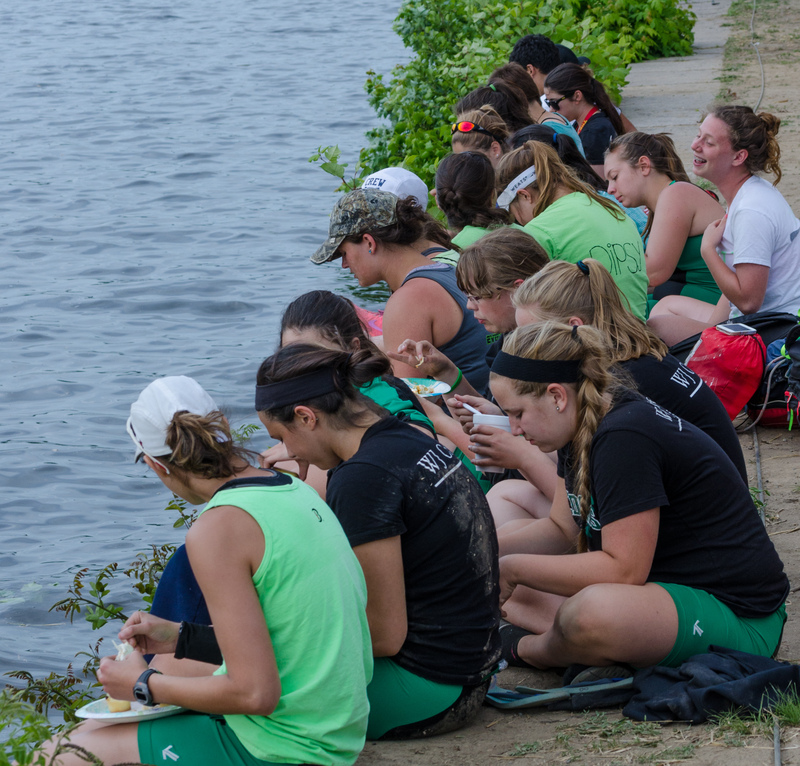 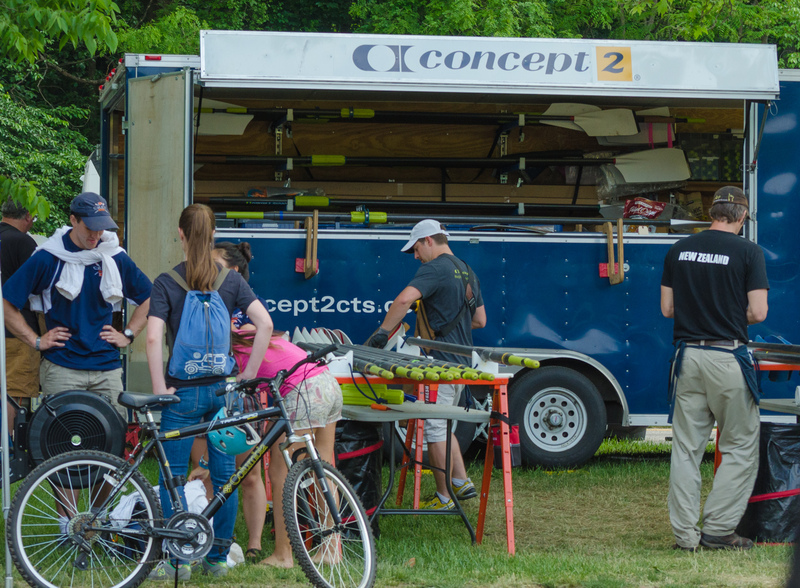 Despite competing in large fields of 73 and 38 teams respectively, they were the first ever Walter Johnson boats to advance to the finals at Stotesbury, besting rowing powerhouses like Gonzaga, St. Joseph’s Prep, and Don Bosco, as well as other teams from all of the USA and Canada. 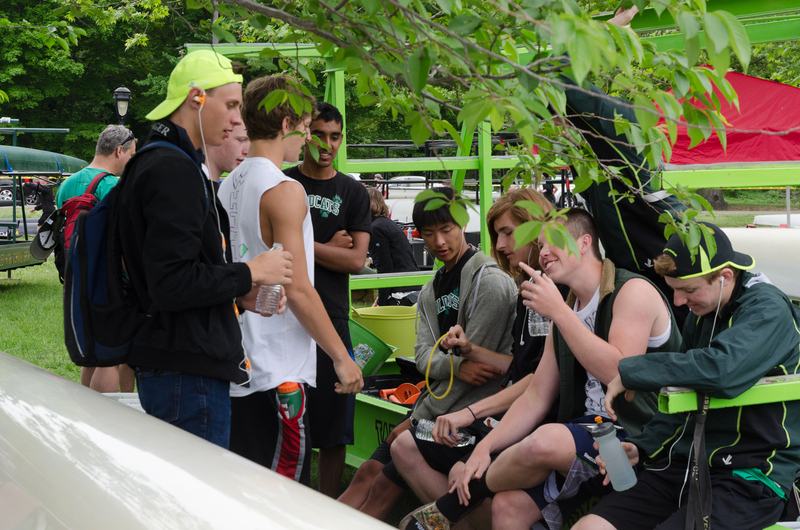 The Boys Junior 8 boat, consisting of novices and second-year rowers, exceeded all expectations and came in 22nd of 47 teams, almost advancing to the semi-finals. 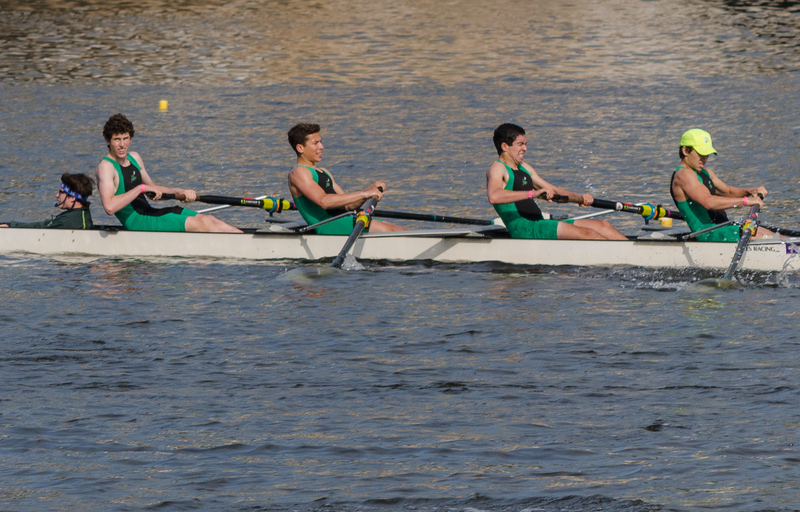 This was a result far beyond any previous WJ boys’ Junior 8 entry, and on par with that achieved over the years by our team’s much more experienced crews. 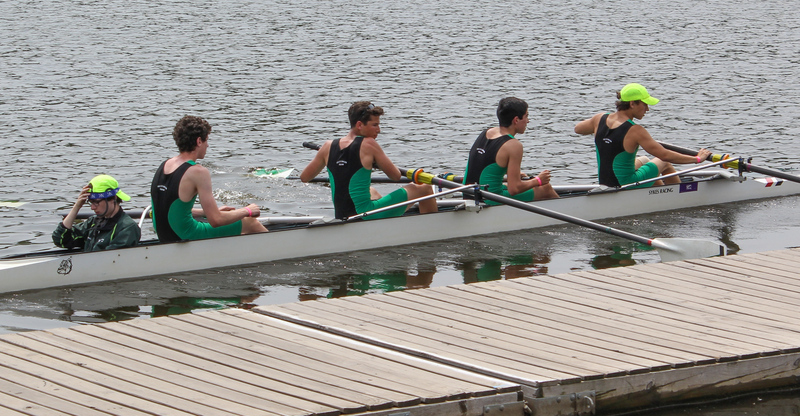 The Boys Lightweight 4+ advanced to the semi-finals after clocking the fifth fastest time trial for their event of 36 entries. 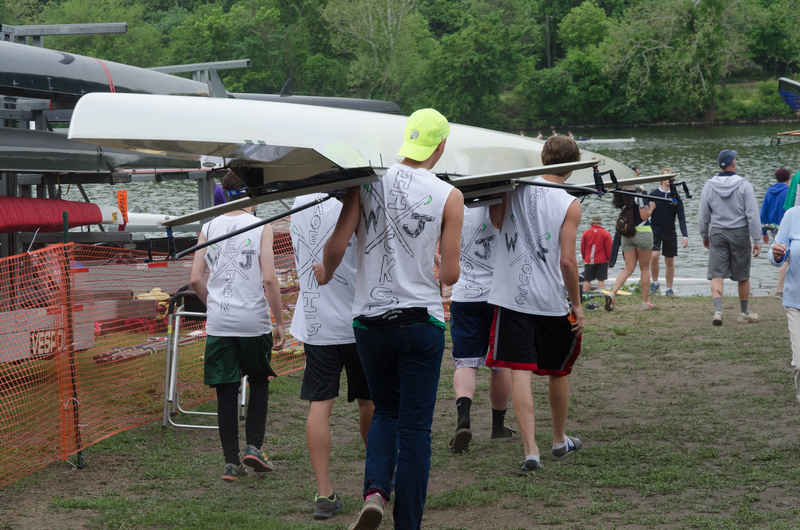 Not surprisingly, they progressed to the finals, after a successful, albeit stressfully dramatic, semi-final heat. 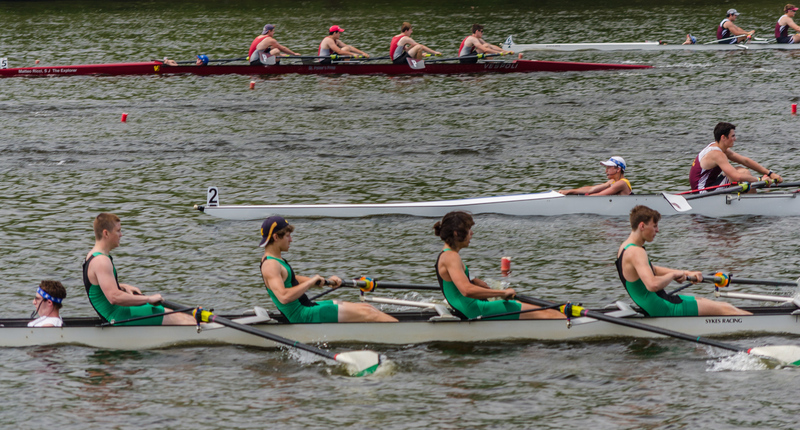 Their sprint in the finals was as exciting as any, with an impressive fourth place finish, after nobly fighting with the front of the pack, and a full 5.6 seconds ahead of fifth place St. Joseph’s Prep and 12 seconds ahead of Gonzaga. 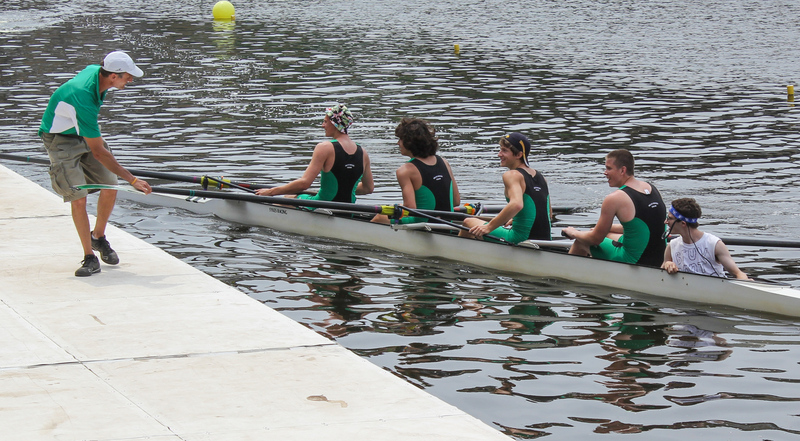 The Boys Junior 4+ was ably manned by Ryan Gibbons, Philip Whitehouse, Ben Koenig, and Zach Hicks, with Cameron Meier as coxswain. 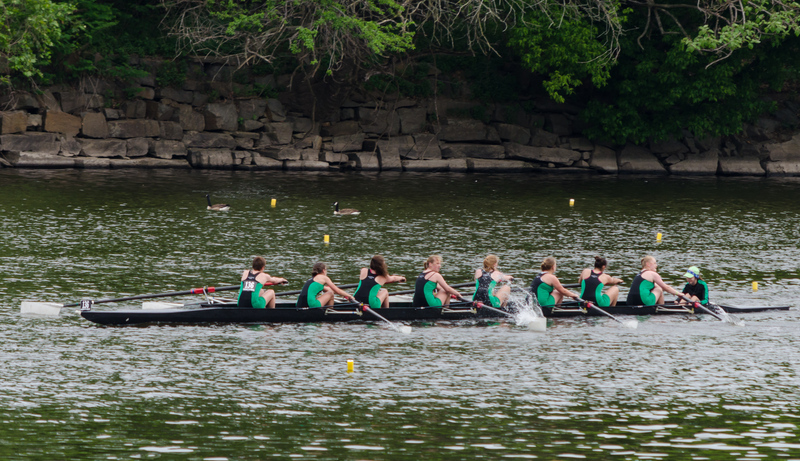 They started Friday with an astounding eighth fastest time in a field of 73 teams, and ended the day as our first WJ Crew to ever advance to the finals at Stotes! 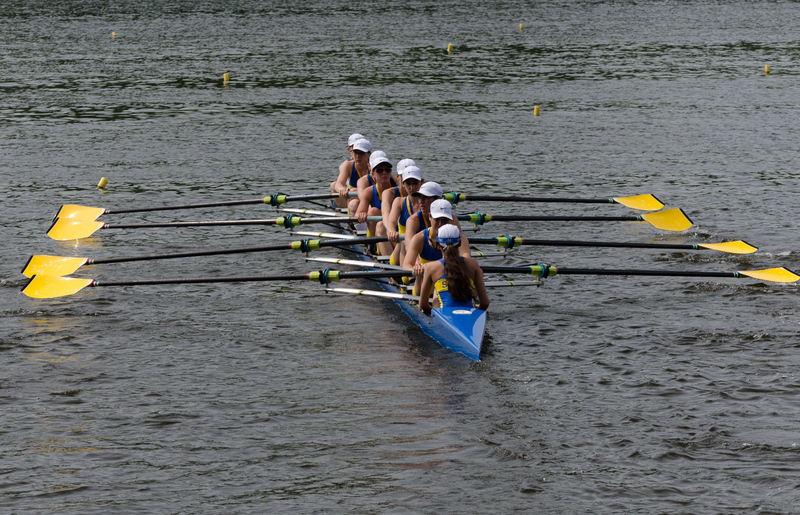 On Saturday, they surpassed that performance by bringing home a well-deserved Bronze medal, after an awesome sprint that almost won them a Silver, which they missed by less than half a second. 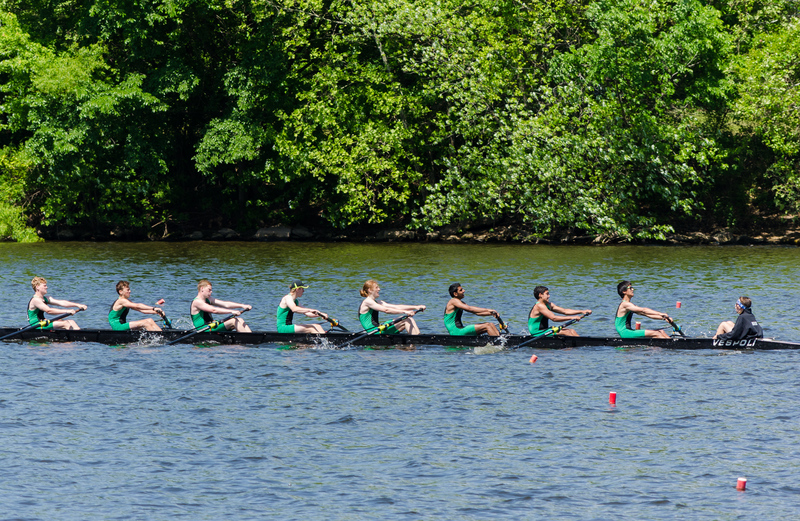 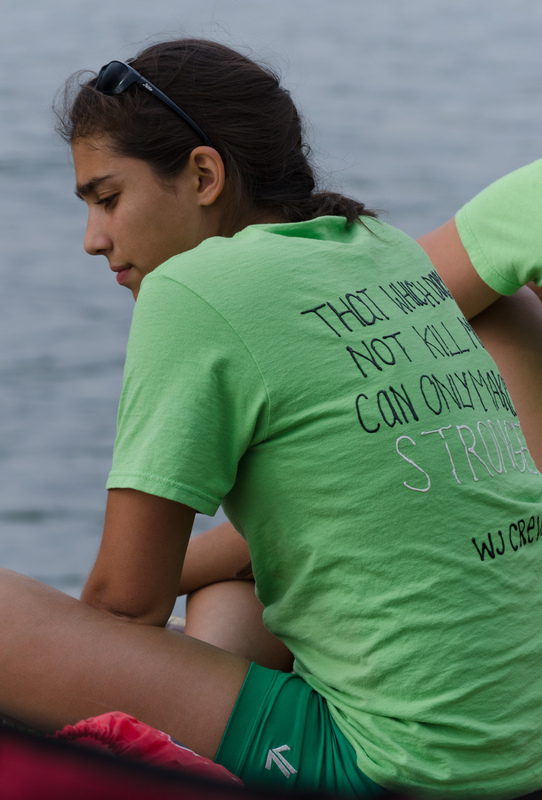 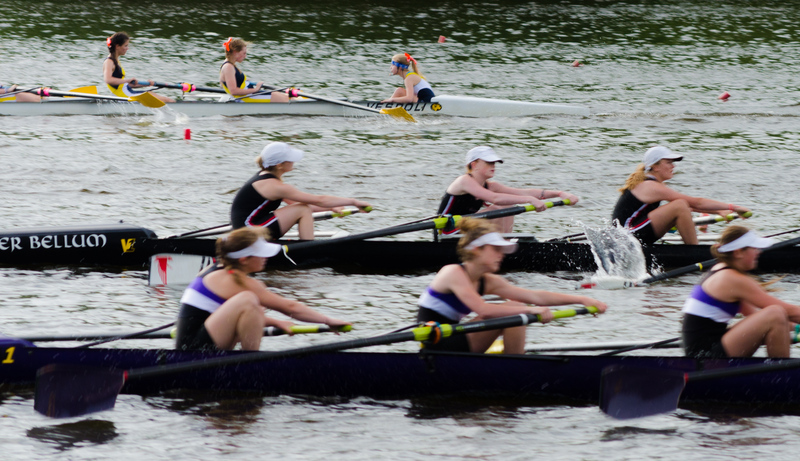 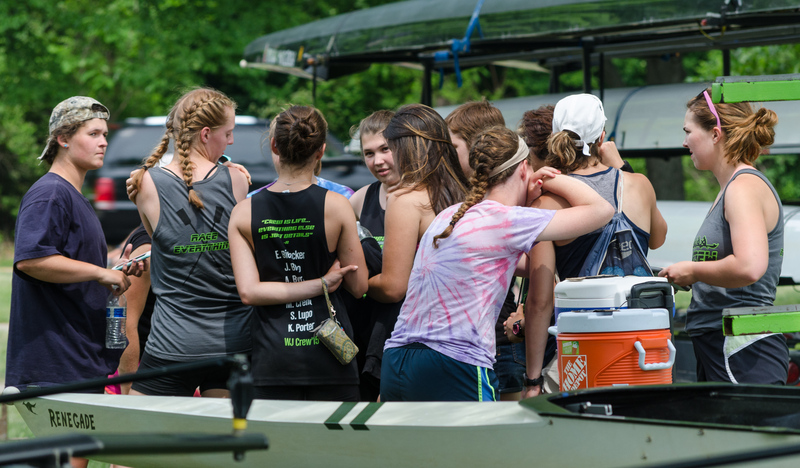 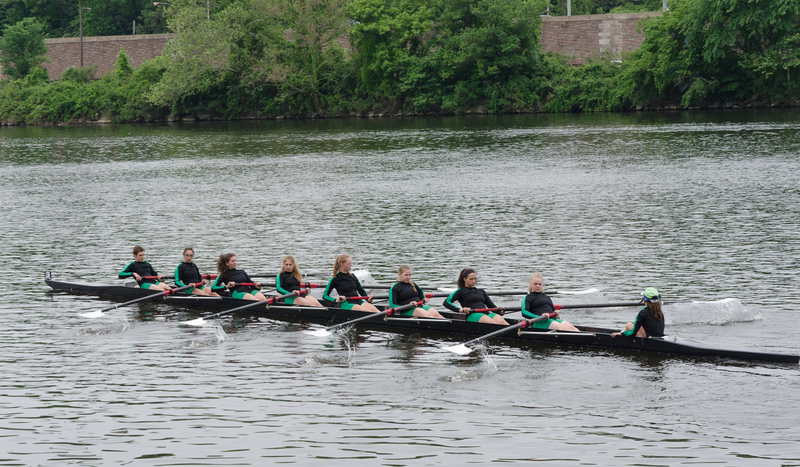 On the girls’ side, WJ Crew entered its first-ever Freshmen Girls’ 8, as well as competing in races for Girls Junior 8+, Junior Girls 4+, and a Senior Girls 4+. 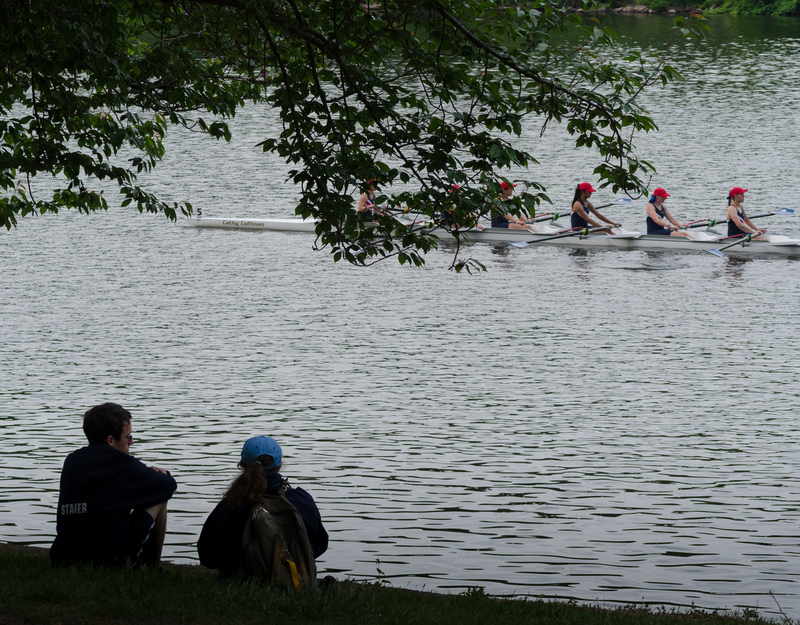 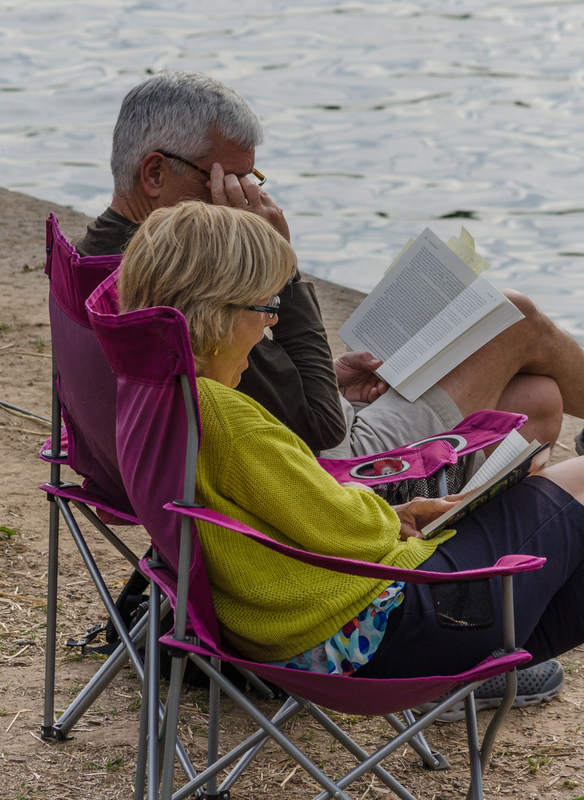 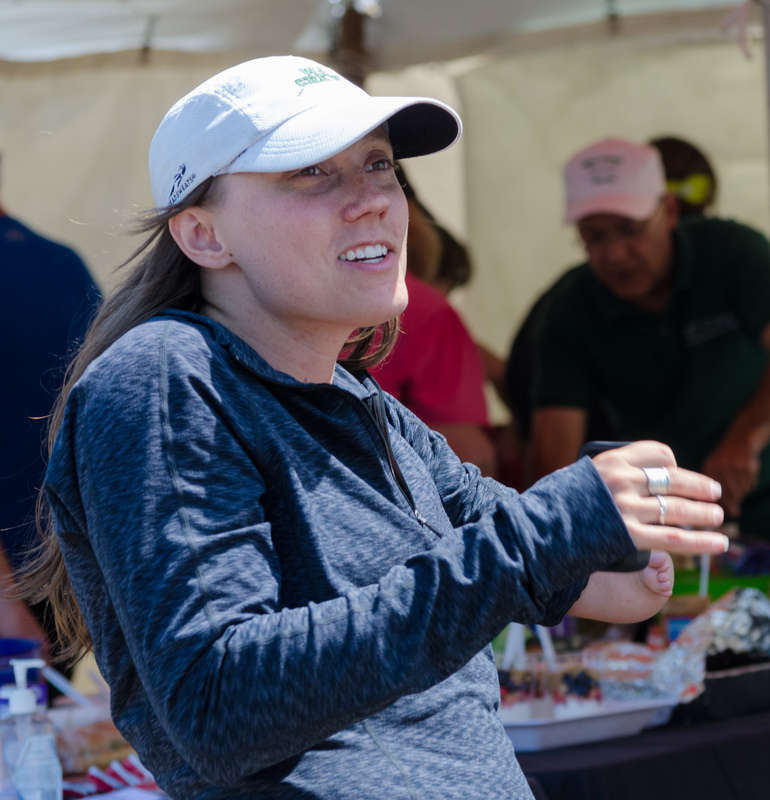 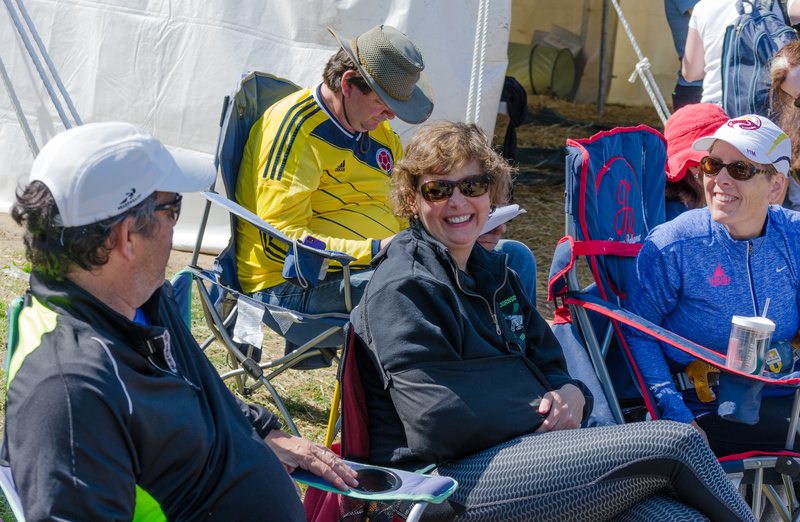 All in all it was a memorable weekend for both rowers and spectators! 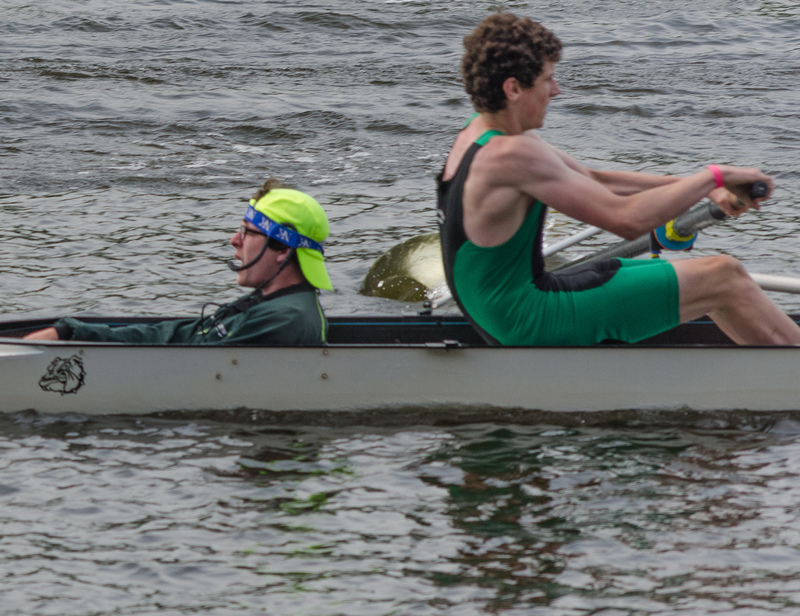 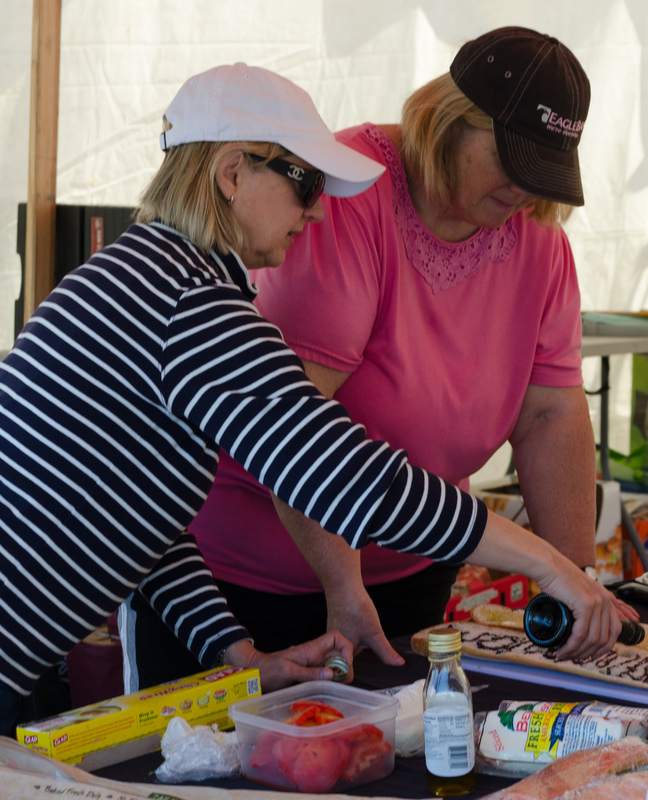 Photos by Mark Nathans and Paul Whitehouse. 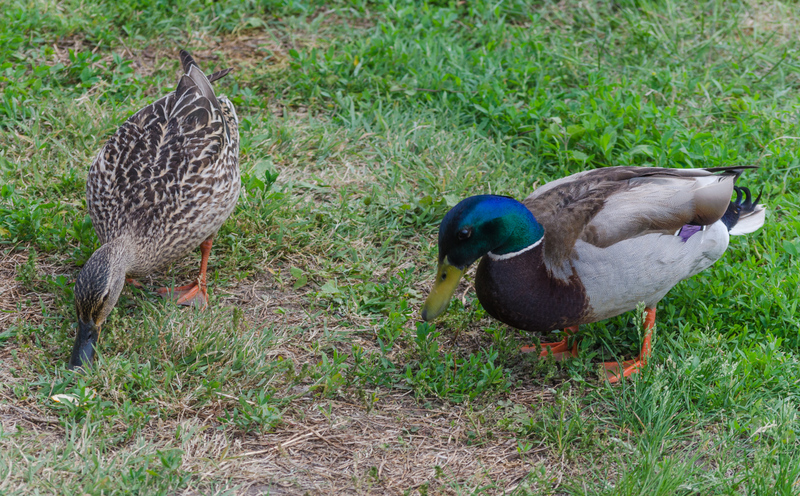 (All Rights Reserved.) 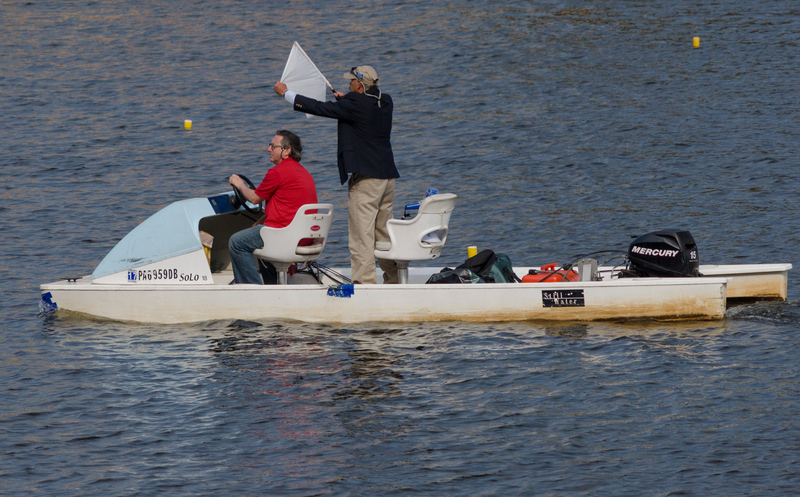 For more photos of this event, see Mark’s and Paul’s Flickr pages.